Fair Shake offers corrections and other reentry professionals – such as parole/probation officers, social workers, educators, restorative justice volunteers and more – a unique opportunity to support a formerly incarcerated individual’s transition to society. We support you in your efforts and we offer you many free options! 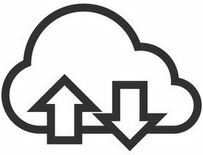 RESOURCES: Easily select and print reentry resources from our Resource Directory for FREE! Please contact us for a free Fair Shake presentation for incarcerated individuals and staff! 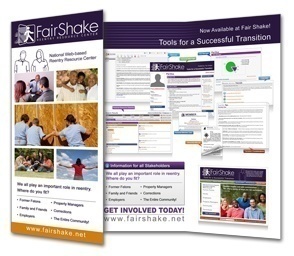 Fair Shake’s Resource Directory, Reentry Packet, Computer Basics tutorial; a complete mirror of our entire website – without access to the internet – is available to load on your stand-alone computers (and can be modified to use within intranet systems). The educators in the Oklahoma Department of Corrections have created an innovative approach to reentry studies. They built their curriculum utilizing a number of resources assembled together, much like a college course, to provide not only the information contained in the lessons, but also the understanding that there is no single way to study reentry (there are many ways), and also to incorporate Fair Shake’s software into their lessons inside so that the incarcerated will be comfortable utilizing the website once they go home. They share their curriculum here for your consideration. Now the Oklahoma DOC has shared a teacher’s reentry lesson plans AND a fun and thought-provoking reentry word games book! Find, Save and Print resources for free! Build custom packets with your saved resources and our documents! We can also ship cases of packets for reentry preparation classes. Please email or call with your name, department and the address of the prison and we’ll send a packet ASAP. Prison Parenting Programs is edited by Jerry Bednarowski.and published by the Correctional Educators Association – Wisconsin. This directory has been created to help correctional educators and community agencies enhance existing or create new parenting programs in correctional facilities and the community.